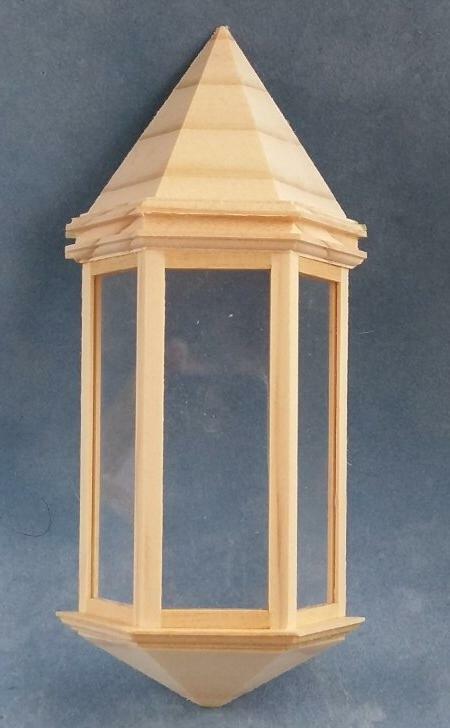 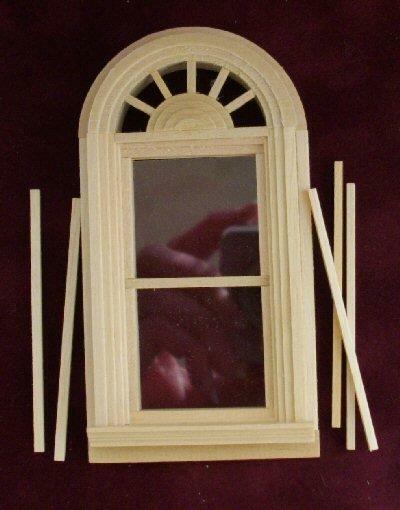 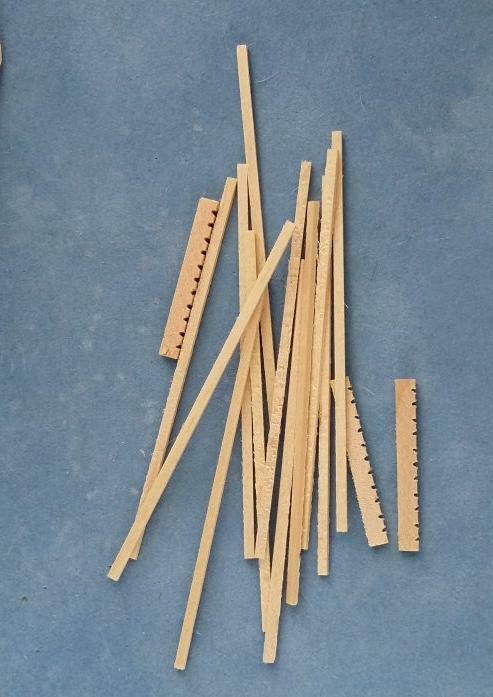 1/24th scale wooden Victorian style tall, slender bay window for a dolls house. 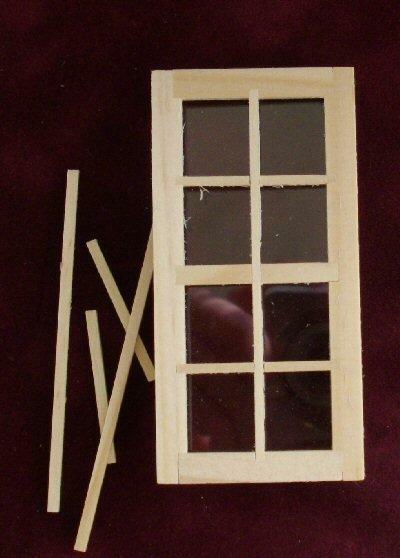 Window has plastic glass pre fit into the window. 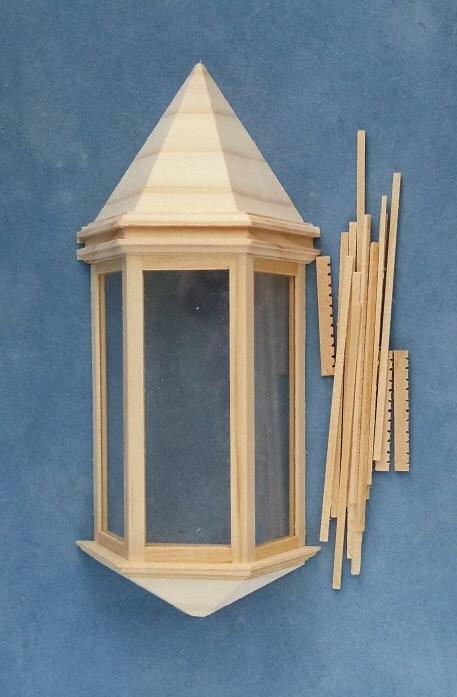 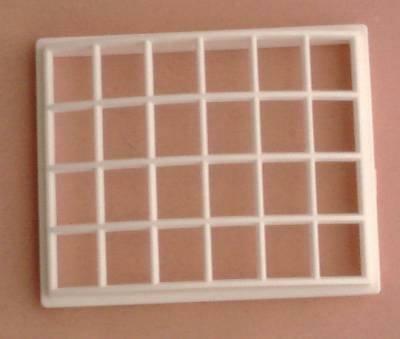 Package includes some glazing bars which can be cut and fit however you wish. 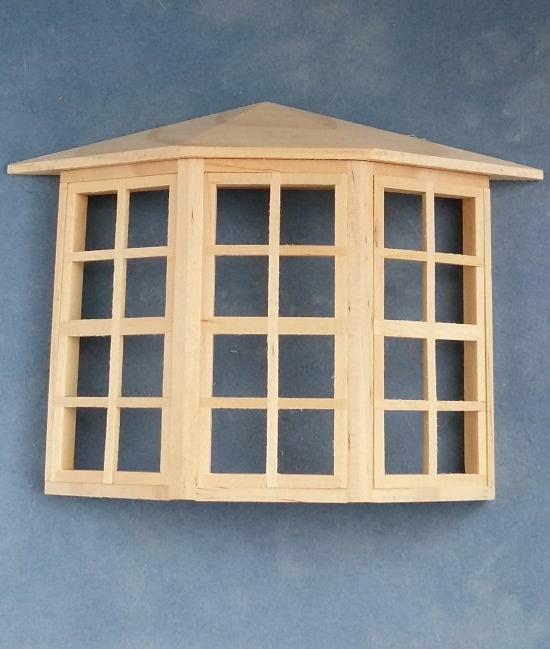 Window measures 58mm wide x 130mm high x 25mm deep.